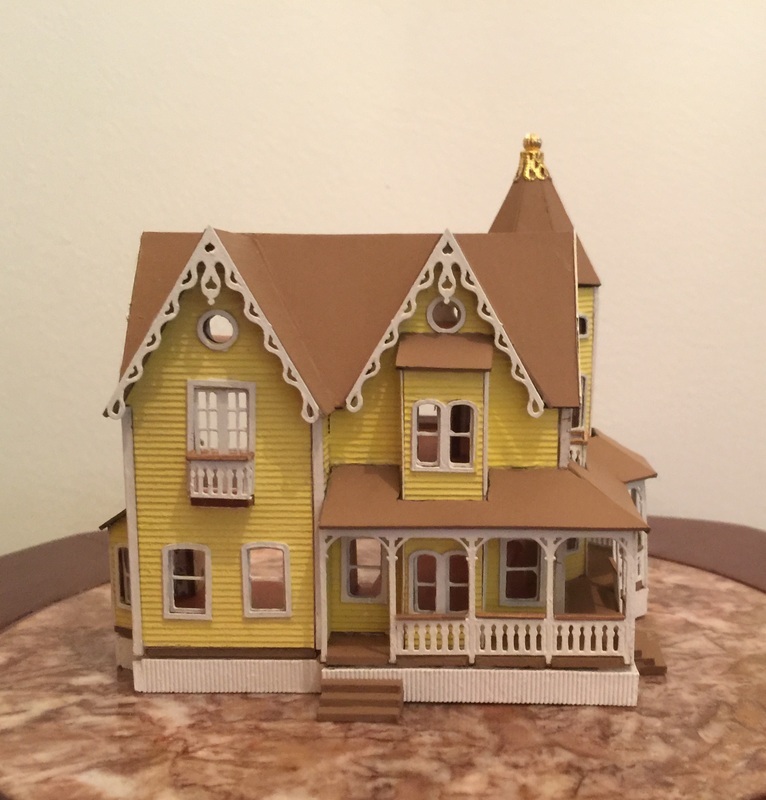 These houses are actually dollhouses for dollhouses. 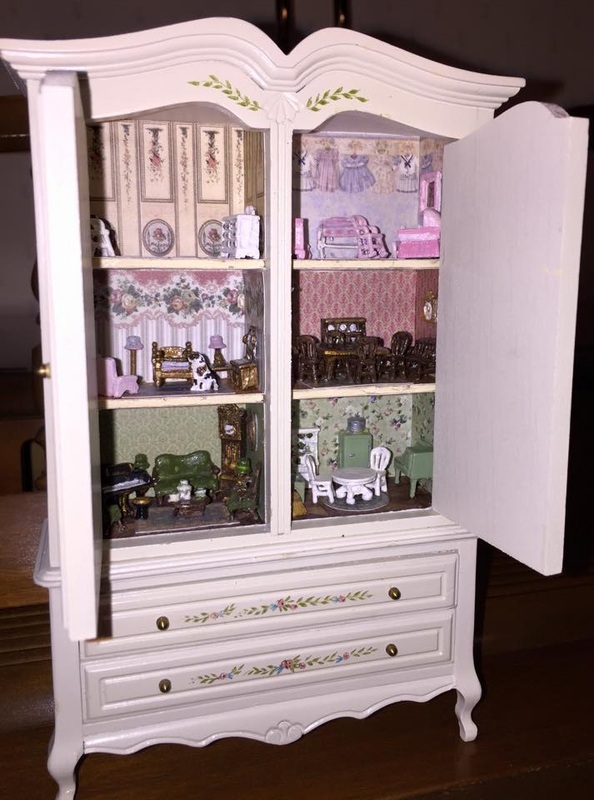 The directions are fairly complicated and the kit pieces very delicate. 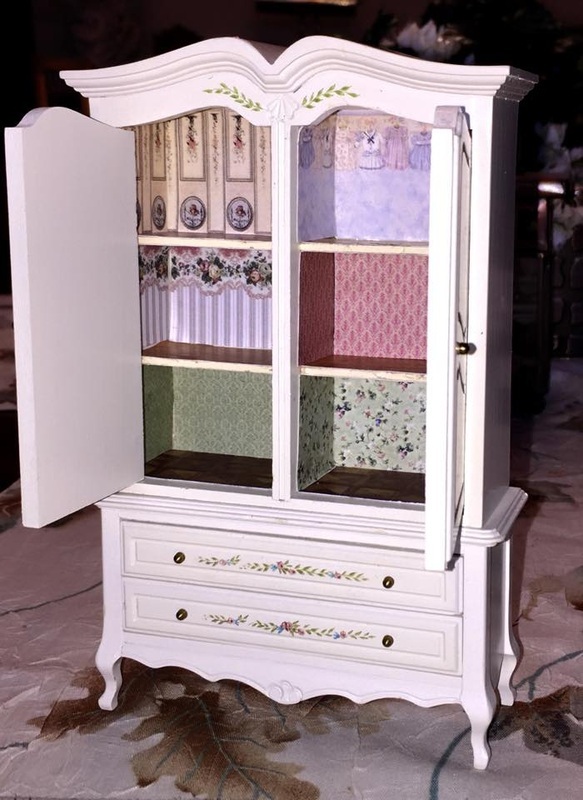 I purchased this online, listed as a china cabinet. 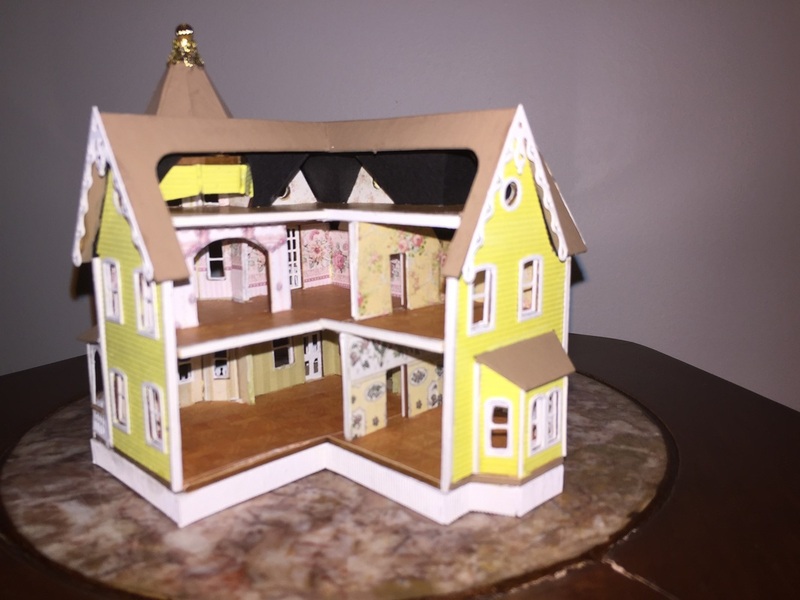 It's actually a Baby House for a dollhouse. 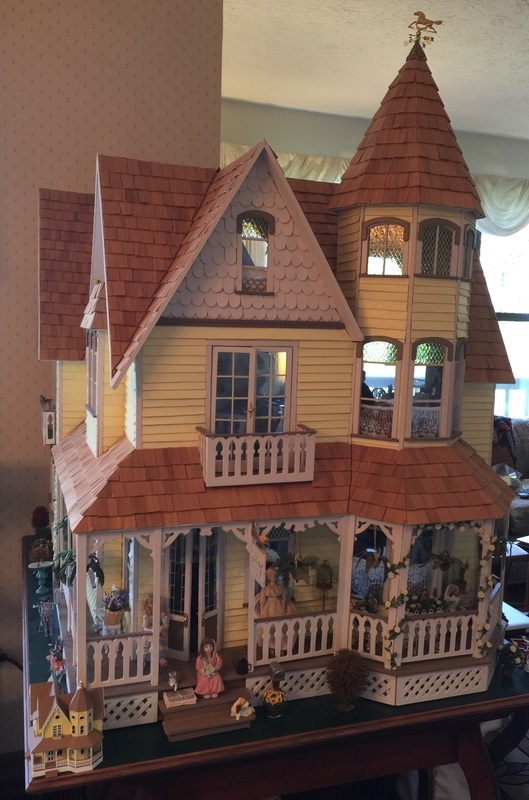 I've had it for several years, but finally got around to finishing it. 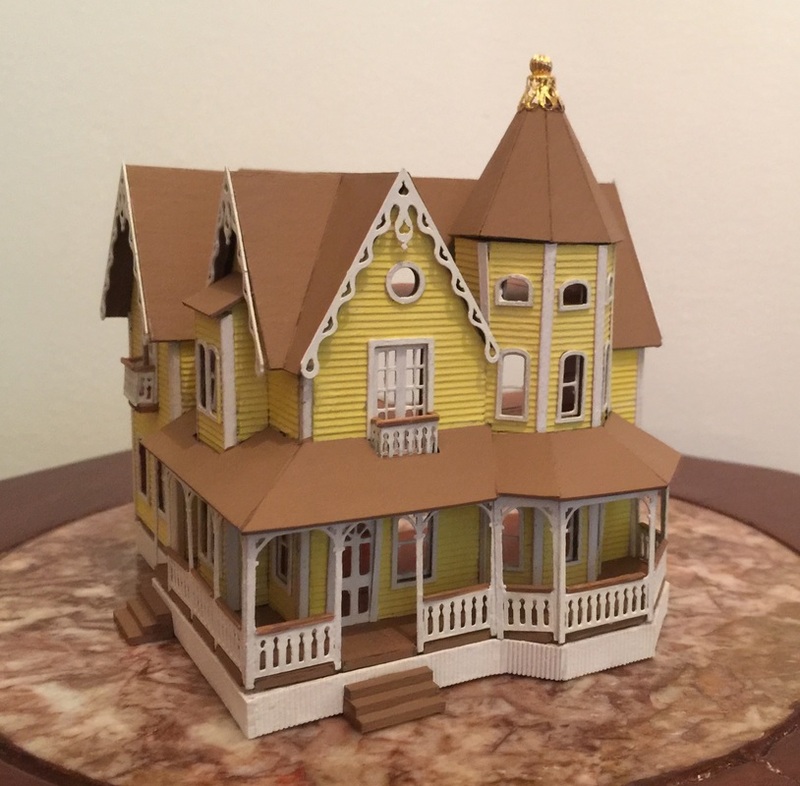 This cabinet house is one I'm working on for a friend. 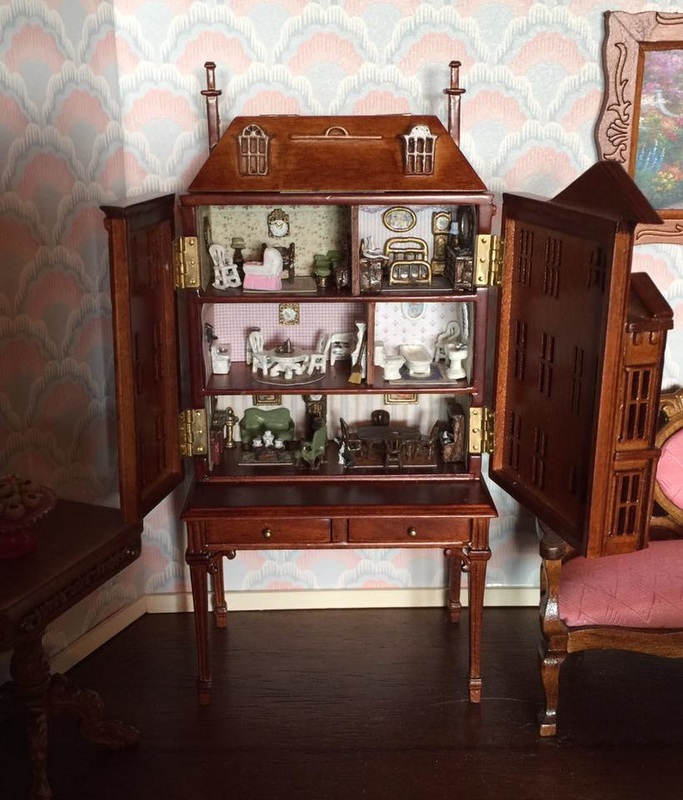 She liked mine so much and had this piece of furniture that wouldn't fit into a room. 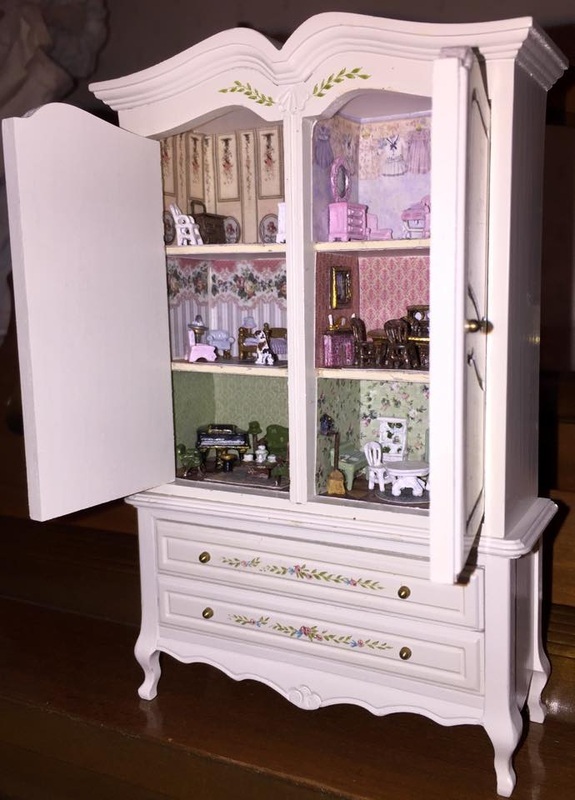 It was perfect for this project! 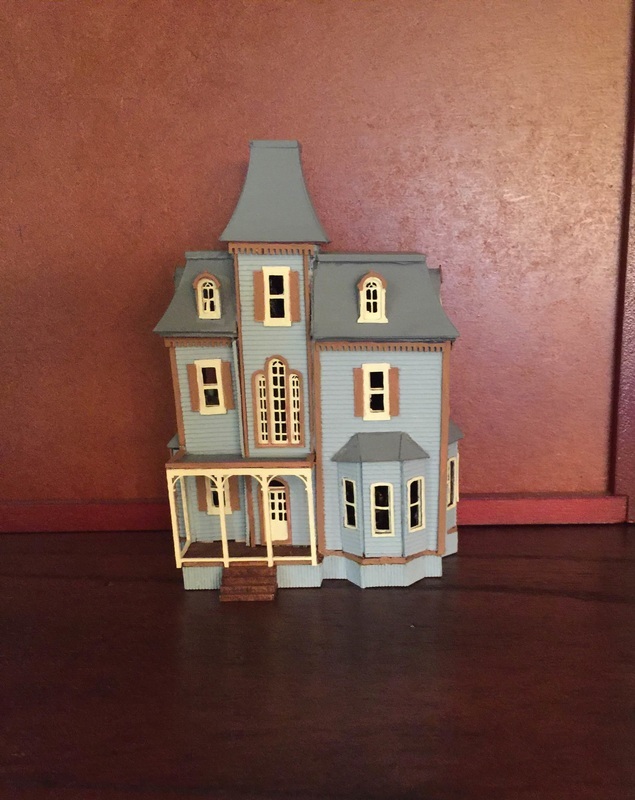 I added the Sculpty foundation to this kit. 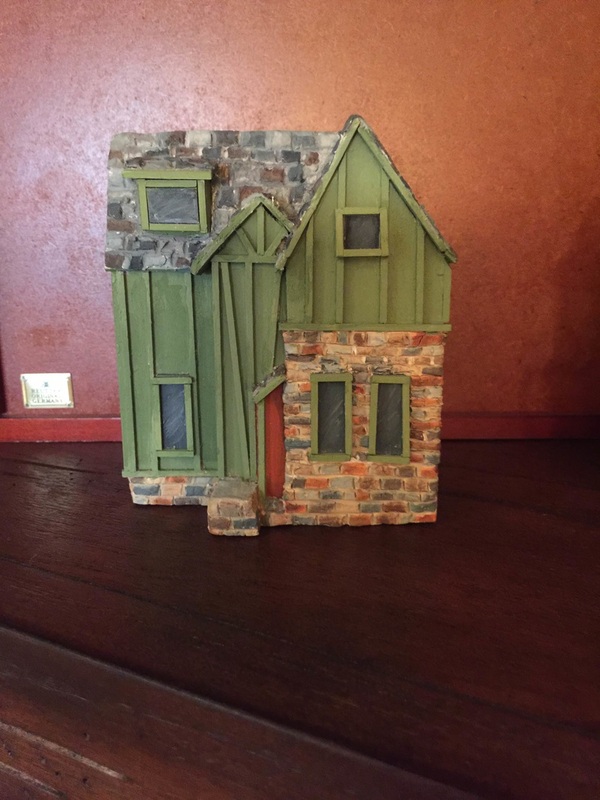 This little house sits in one of my log dollhouses. 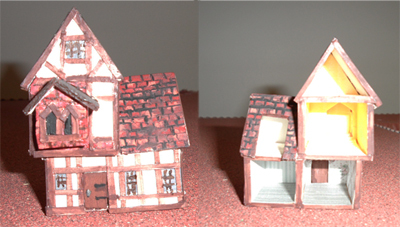 I ordered this little house kit from Mott's Miniatures years ago. 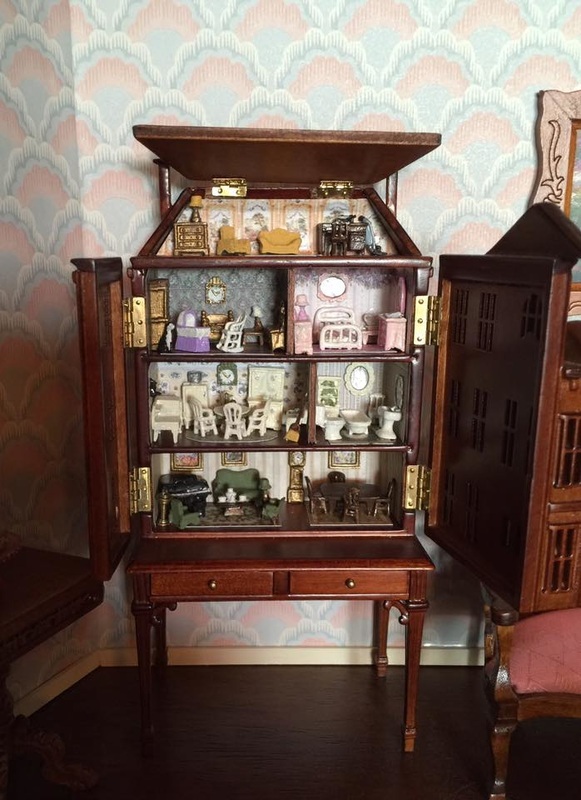 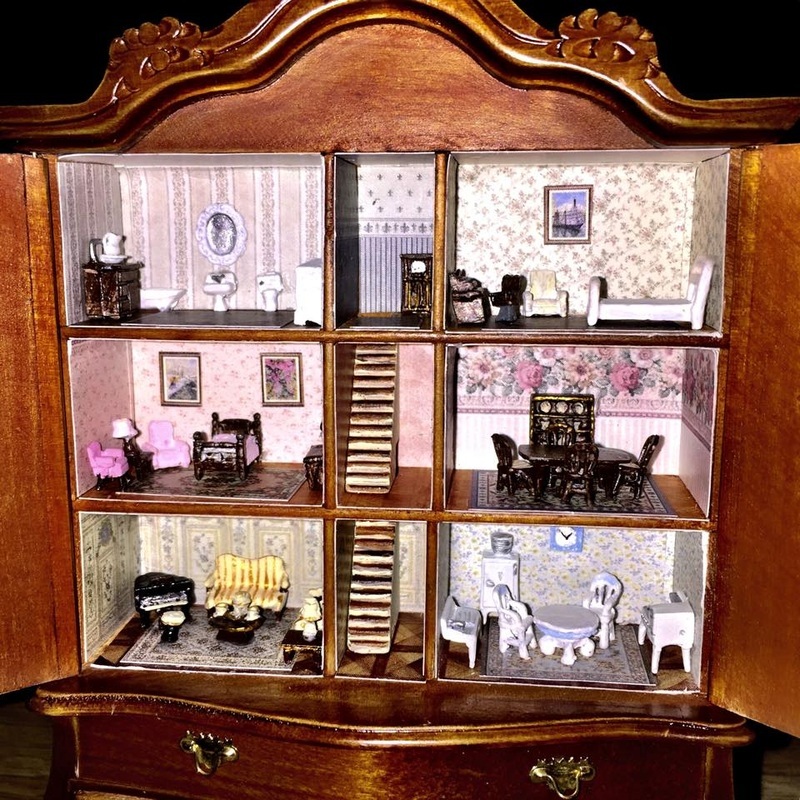 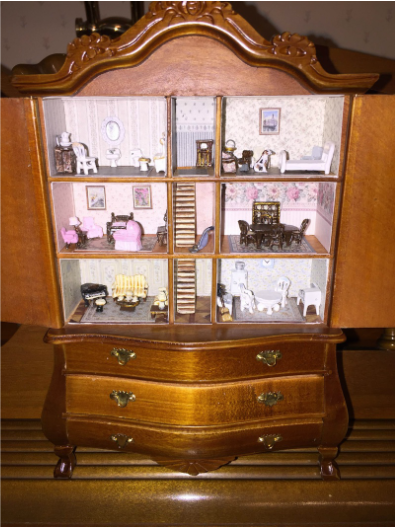 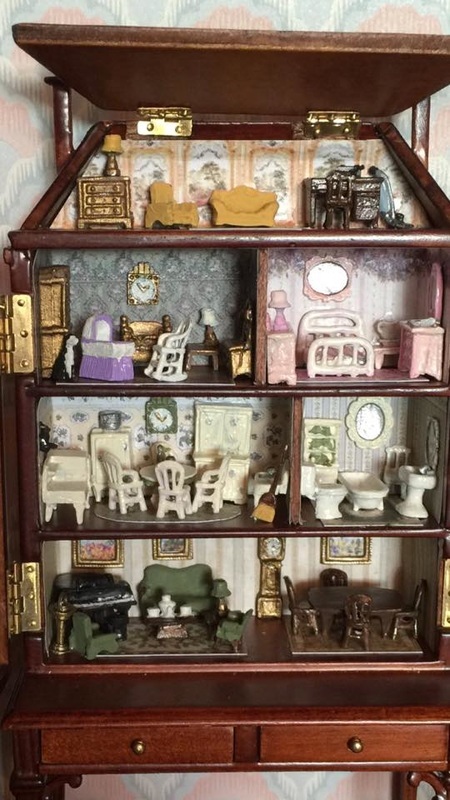 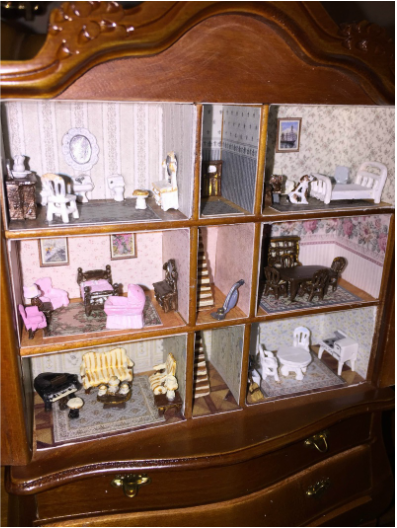 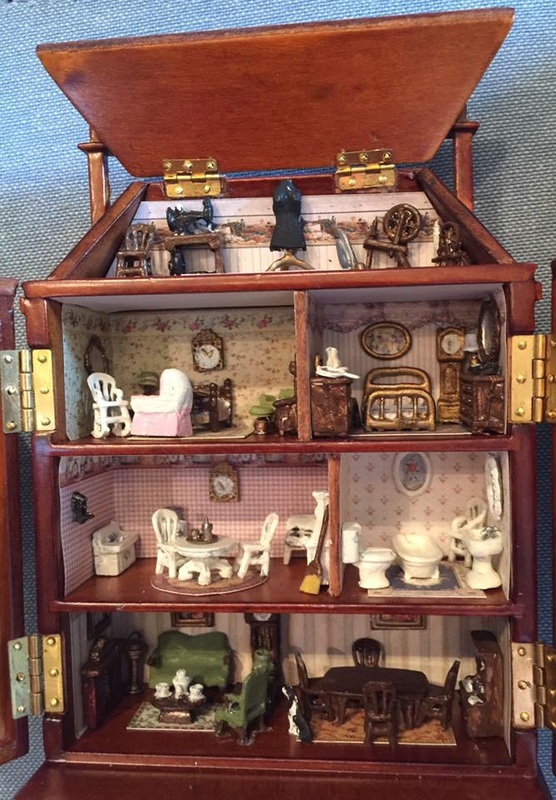 It is supposed to be a replica of a Bliss dollhouse. 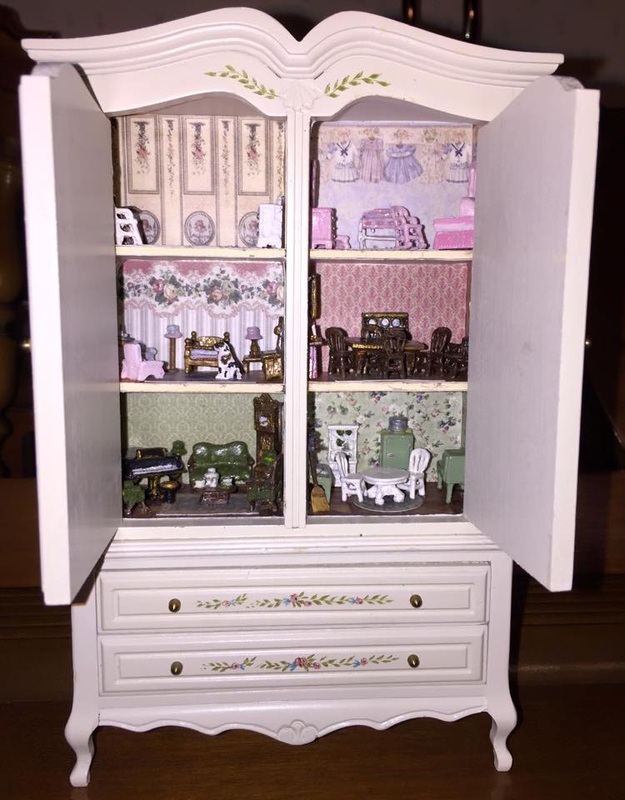 The kit came complete with the lithographed papers, just like the full sized Bliss dollhouses. 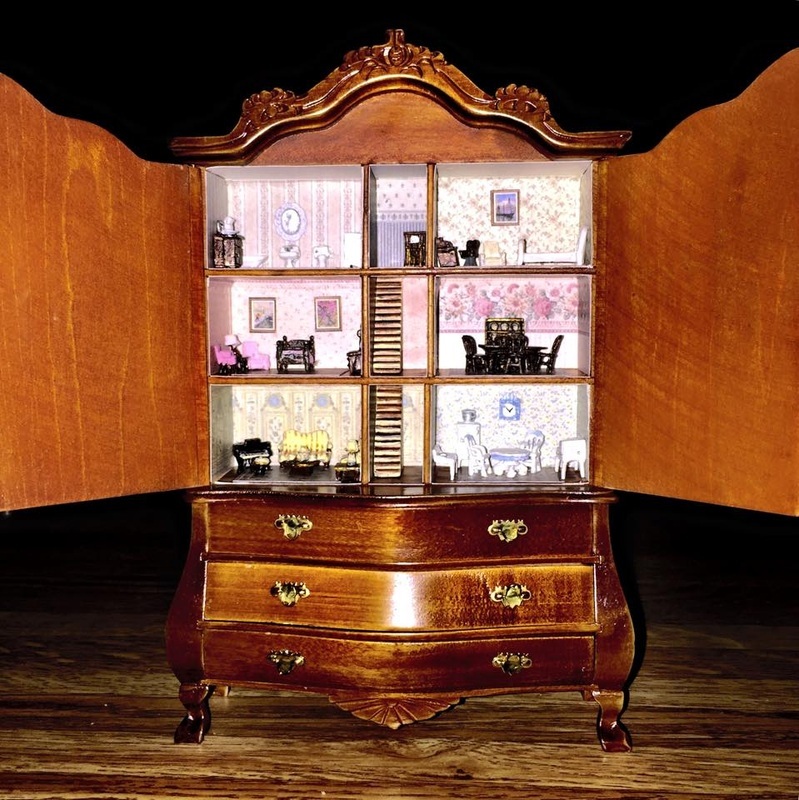 This piece of furniture didn't start its life as a babyhouse, it just evolved into one. 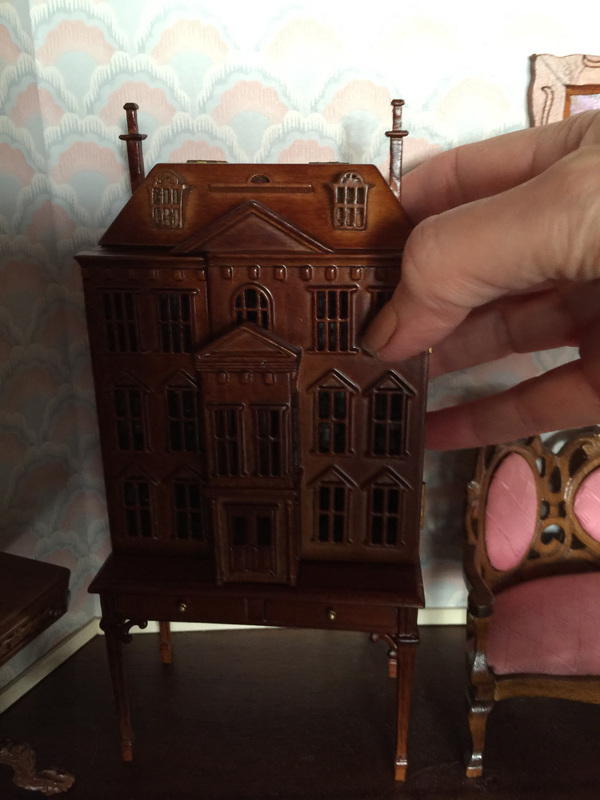 The thing I find most interesting about this piece is its origin. 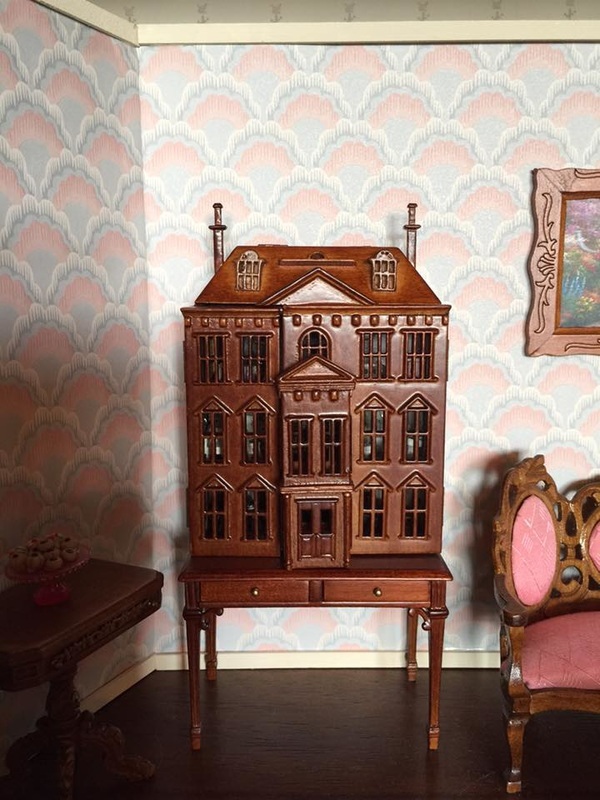 It is stamped, Netherlands, the only piece of miniature furniture that comes from that country. 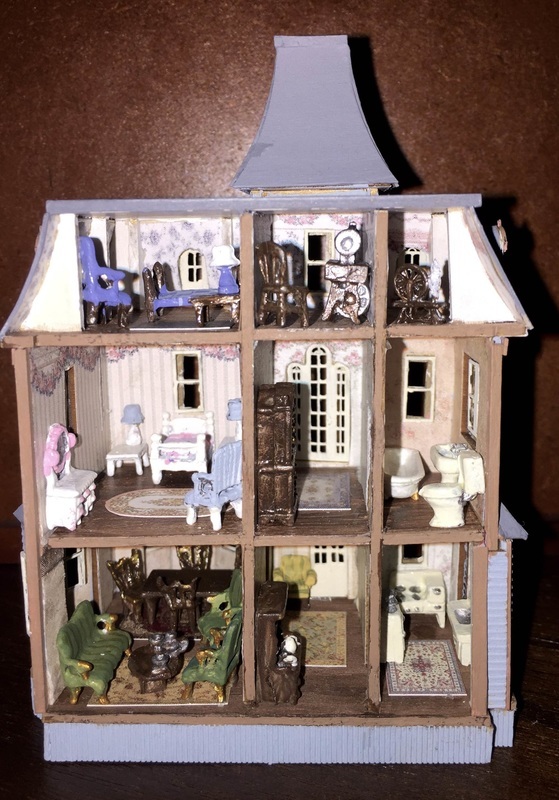 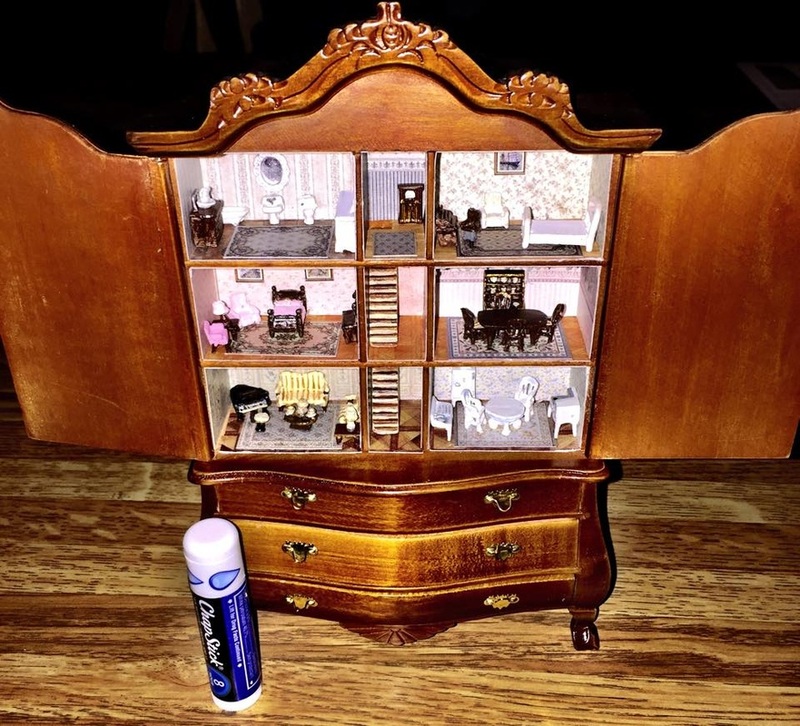 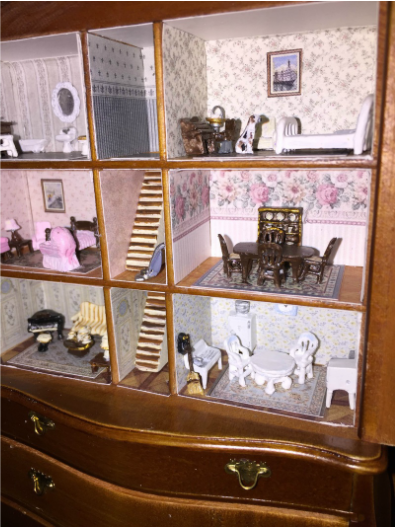 A little dollhouse for a dollhouse that I made it from one I saw pictured in a miniature magazine.